The Gorman Rupp Super T Series – most common used in waste handling applications in industries such as steel and paper mills, mining operations, food processing plants, power plants, automotive factories, tanneries and wineries. 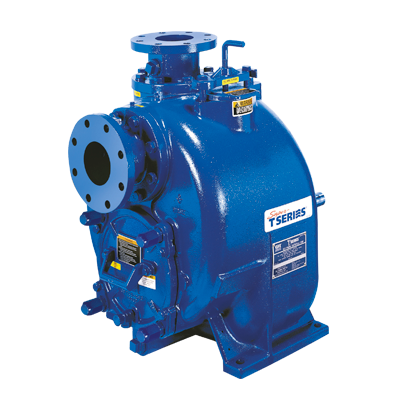 Pumps are equipped with superior solids handling capability and a large inspection cover to access pump internals for service or blockage removal. Super T Series self-priming centrifugal wastewater pump has been the world benchmark for this technology since 1963!